1. Basketball background: "I played basketball at Knoxville and lettered 3 years. Also I played one year at Monmouth College. I have coached basketball since 2004. I started with middle school in Knoxville for two years and then coached varsity boys in Avon for 3 years (Register Mail Coach of the Year in 2005/2006—I had good players). I have coached middle basketball in Avon for the past five years, since the consolidation started." 2. Coaching history: "I love coaching and developing players. It motivates me to see players progress into being better players. I had a lot of GREAT coaching over my career and I want to give back to the youth the same or better than what I received. I have coached all sports (football, basketball and baseball)—I have coached at all levels (including college)." 3. Style you intend to implement: "I want to put a lot of pressure on the other teams we play……force them into mistakes and turnovers." 4. Why did you take the A-Town Girls Coaching Position: "Why not? I have coached at all levels and I enjoy it to the fullest. I believe this team and the program down the road can be very successful with the correct guidance and work ethic. I am very excited to be more involved in the coaching fraternity at A-town." Coach Dugan will be assisted by Coach Sean Foster. Coach Foster has been with the program for past few years. Coach Foster teaches math at the high school. Additionally, Coach Dugan will have a new volunteer coach in the program: Tessa Jones. Tessa played basketball at Knoxville and played varsity for 3 years. Attended Monmouth College and is now going to Western Illinois for grad school. She is substituting teaching at Bushnell and volunteering to help the A-town girls basketball program. She will be a great asset to the program and I am looking forward to working with her. 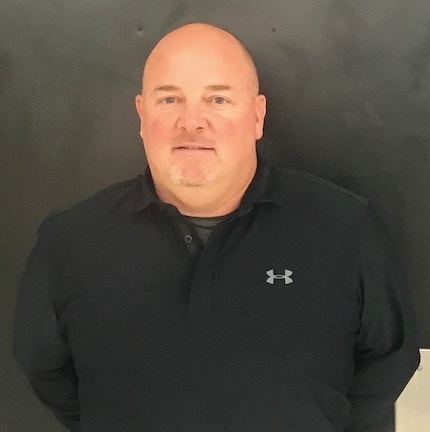 A couple of non-coaching facts about Coach Dugan: His favorite pro sports teams are -Basketball: the Chicago Bulls and Illinois Fighting Illini. Football: the Chicago Bears. Baseball: the St. Louis Cardinals. His favorite food is chicken enchilada. The Varsity girls open their season tonight at ROWVA as they begin the Cranberry Classic. Tonight they will play ROWVA at 7:45 pm. 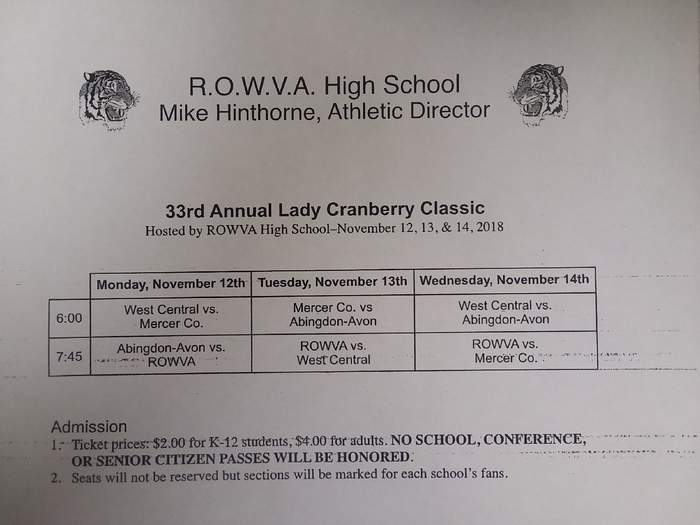 Tuesday they will play Mercer County at 6:00 pm (@ROWVA) and on Wednesday they will play West Central at 6:00 pm (@ROWVA). Best of luck to the Lady Tornadoes and Coach Dugan on his inaugural season at the helm of the program. Or on the A-Town 276 Smartphone App - which is available on both Apple and Google App stores.